You must make reservations at least 5 minutes in advance of the time at Russia House Restaurant - Herndon. Ample parking lot in front and side of the restaurant, also parking in the rear of the restaurant. Street parking is also available. 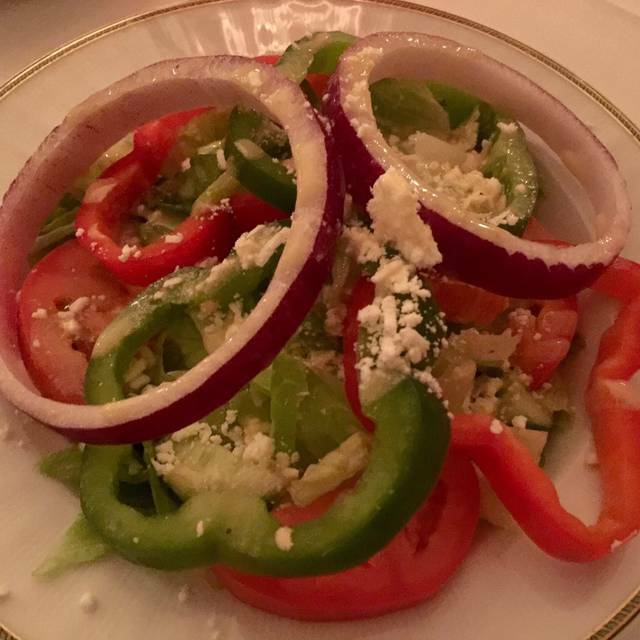 Whether celebrating a special occasion with family and friends or hosting a corporate event, “Russia House Restaurant - Herndon” can accommodate all your special event needs; from 10-100 People. 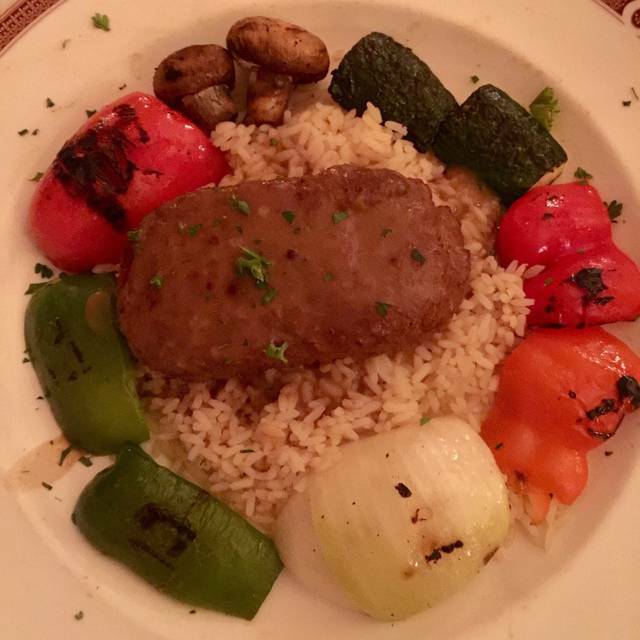 Set in historic Herndon, the Russia House Restaurant offers Russian hospitality and culinary excellence in all its details. The restaurant opened in July of 1992 by the friendly owners Ali and Homeyra Darugar, and together they created an atmosphere of aristocratic dining with classic cuisine, with the warm feeling that you are dining at your aristocratic grandmother’s table. Mrs. Darugar moved from Russia with her grandparents to Switzerland, where she learned to cook in her grandmother’s kitchen. She brought her great culinary talents here to the United States and created the exquisite menu and served as the head chef in the first few years the restaurant was opened. The restaurant features Russian, Continental and Georgian cuisine with a French flair. We hadn't been to Russia House in far too long. This time we shared the experience with an old friend, her first time there. And we shared all of our entrees with each other. What fun. And what good food, wine, and service. Our friend very much enjoyed Russia House, as did we. Can't wait to return. This is the best restaurant in Northern Virginia in terms of food quality, service, and price. There are a few restaurants as good in terms of food, but are much more expensive. None are better in terms of service. This is a "must dine"destination for foodies and those seeking a special dinner on a special occasion. 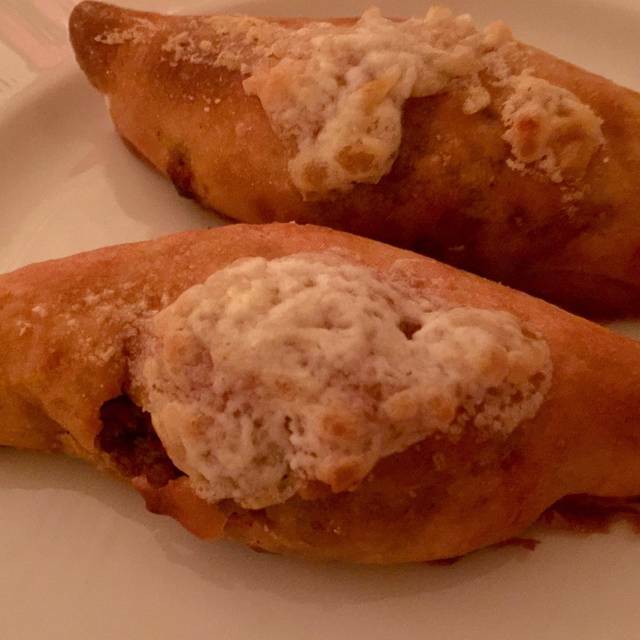 If you want a first-class dining experience The Russia House in Herndon, VA is the place. The owners are masters of their craft and make everyone feel at home. 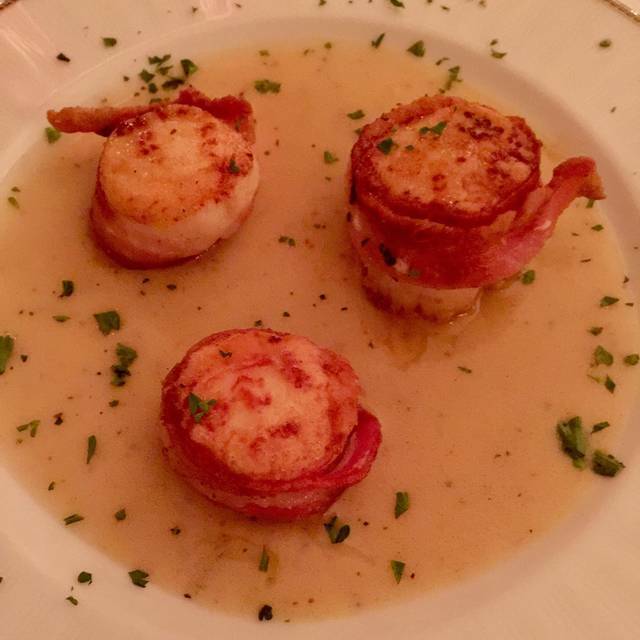 Try the Ceasar Salad, Bacon-wrapped Scallops and Beef Stroganov, yum! 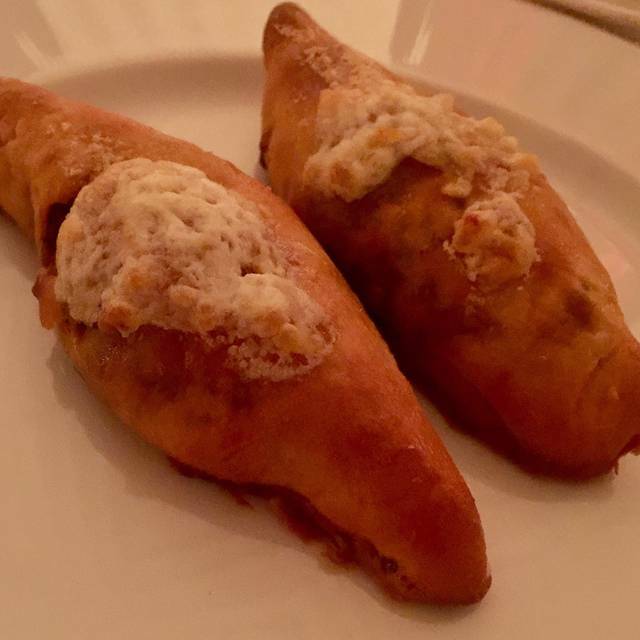 In addition, get on their email list for the monthly wine pairing dinners, double yum! Cheers! Wonderful location and decor. Very attentive staff. Food was tasty and presumably authentic. A bit overpriced, but that was anticipated. Overall, a very good experience I would recommend to friends and family. Consistently very good. Owners are special people who exude warmth and friendliness making everyone feel at home/welcome. Hot tools welcome you and an array of interesting and tasty dishes await. Recently three business friends and I had lunch at Russia House; apparently lunch is a very quiet time as we had the entire restaurant to ourselves, which was very nice. I believe our server was also the owner, or at least a partner and shared many interesting things with us. Everything was very nice - with the exception of the food. Two of us ordered specialties of the house and they were...underwhelming. The appetizer was delicious but very small for the price. My Chicken Kiev was just okay, a little dry. All the food was good, just not great and certainly not worth the cost. I will go again to give it a second chance. Maybe they bring their A game for dinner. Our lunch group of eleven people ate at this restaurant and every one of us enjoyed our meal. The staff could not have been nicer. I highly suggest trying this place and look forward to my return trip! Excellent service, good variety of appetizers, entrees and martinis. Beautiful space, wonderful service and really good food. Appetizer sampler and the beef stroganoff were excellent. Good value too. Food and service were excellent. Server very attentive and water glass was never empty. A little dim in restaurant for my taste, but loved it overall. Excellent food and nice surroundings even though restaurant was full due to Valentine’s Day. Service was good and there was a good selection of wines to pair with the assortment of entrees on the menu. Food was excellent as always, we've been there before. The service was courteous but slow. There are not enough servers for the customer volume. Our reservation was at 8 pm but we were seated at 8:35. The food was good. What a great place for Valentine's Day! Unlike other restaurants that stuff their dining rooms with extra tables, too many reservations, and reduce their menu to a few choices, Russia House stepped up to the plate by scheduling their reservations correctly (never saw anyone wait more than a few minutes for their table). The menu was a great sampling from their regular menu with choices for everyone, plus a few things that aren't on the regular menu. 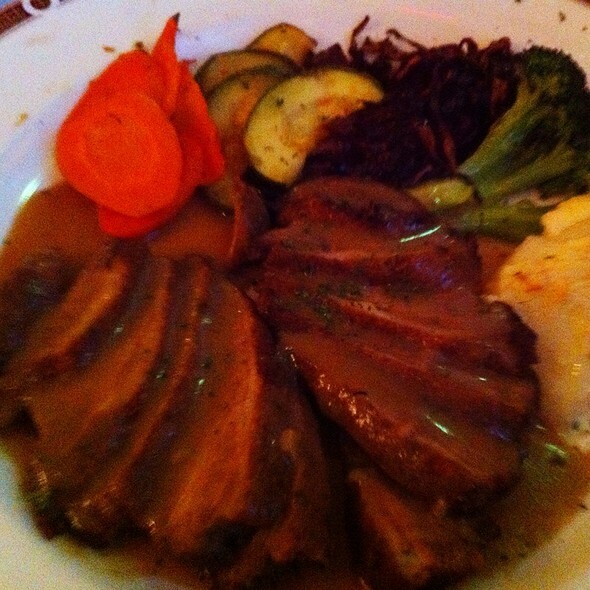 The food was wonderful (best lamb chops I've ever had) and service was spot on. Russia House knows how to do Valentine's Day right. We truly enjoyed our evening at Russia House. The food was delicious and interesting. The owners were a delight, spending time to explain the different dishes to us and the differences in American versus Russian versions. My son was leaving for Russia the next day so the owner gave him plenty of food ordering tips. 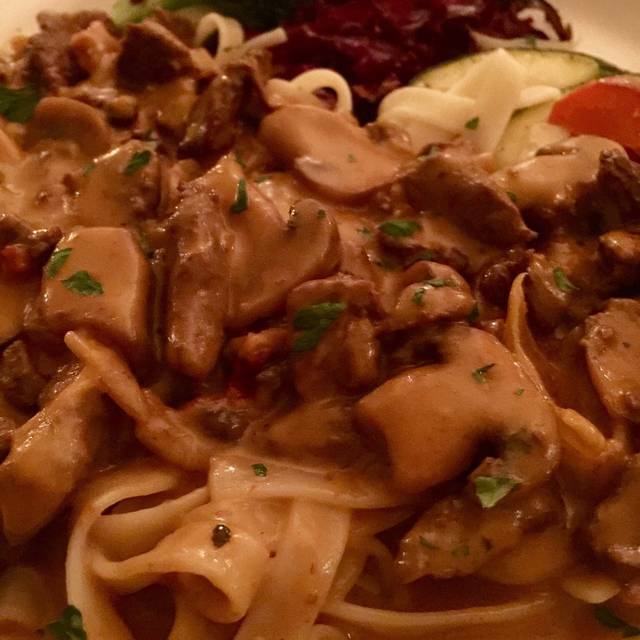 The stroganov was outstanding and is made with filet mignon. It was quiet although the restaurant was full. Had a very nice evening. Great service, great food, great atmosphere...a local favorite. One of our favorite restaurants...always go there for special occasions such as Birthdays and Anniversaries. Food is ALWAYS outstanding and love the owners. Strogonov and borst were superb and the Caesar salad prepared table side was very tasty. This was my second visit to this restaurant and they are batting 1000. A real diamond in the rough. Husband-wife team ensures attentive and responsive service. Authentic Russian cuisine, including classics (Beef Stroganoff, etc) and unexpected delicacies, and also plenty of zakuska (appetizers), Caesar salad tossed tableside, etc, etc. Good wine list. Low-volume classical music on sound system (not everyone likes that, but we do!) We have been there several times and plan to return again. See you there! The food was amazing and the service was exemplary. What a great place to celebrate my birthday. Tasteless food that was clearly pre-manufactured. Costco version of some dishes we got is better , like Kiev Kotlet. Great experience, my wife and I loved everything we had. We were a group of 4 dinning at Russia House last Saturday night. 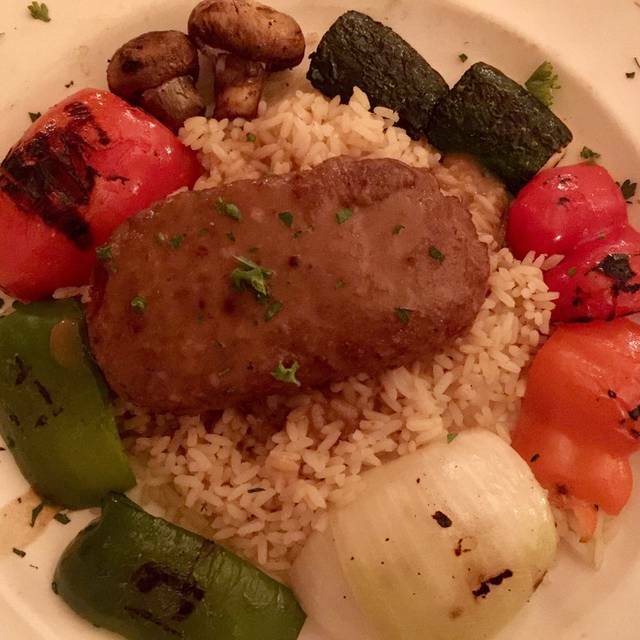 Because of so many restaurants in the Herndon/Reston area we sometimes forget about Russia House but every time we do go back we always wonder why we don't dine there more often. It is the only place in the area where you can drink fused (flavored) ice cold vodka and it is VERY tasty. They start you with warm bread straight from the oven and the entrees are served piping hot. Three in the group ordered Russian food and I had the rack of lamb. All was outstanding. We ended the evening with a variety of desserts and Russia House Coffee. A memorable evening. AND, the owners are so gracious they make you feel like you are their most important guests. We highly recommend lunch/dinner at Russia House. Great food and very friendly and caring service. Menu is extensive and has something for every taste. After reading all the positive reviews, we decided to try it for a birthday dinner. Perhaps my expectations were too high but I wasn't blown away by the experience. The food is not only Russian. One can get continental and American dishes as well. The food, however, was excellently prepared. The warm Borscht was filled with chunks of beets. My Ghiymya Hinkal (Pasta, Ground Lamb, and Feta Cheese Casserole, served with Seasonal Vegetables) was very tasty and very ample. My wife enjoyed her salad and Filet Mignon. We were both too full for dessert, but the Maitre D' brought over a pastry with a candle in it for my wife. Access is an issue. You have to go up several steps. It was drizzling, making entering and exiting a little difficult. I do not remember seeing a bottle of wine priced below $40. Although there was no mention on the list of wine by the glass, when I inquired, I was told we could order individual glasses. They were $12 per glass. Service was good but we did have to ask for lemon for the water. The staff appeared to spend more time chatting with the regular customers than trying to cultivate new ones. I can't say enough wonderful things about Russia House. The owners greet you as you arrive, as if arriving in their home. It is warm, friendly - yet professional - but just the right amount of intimacy. The food and service are amazing, and you must try it to confirm. While this review was for a different reservation (which was the perfect evening), I'd like to mention what an amazing time we had on New Year's Eve. The restaurant was quickly filled, but the staff managed the tables like clockwork. It seemed every table was always full, yet people continued to arrive. They had the perfect balance of turning over tables and service never showed any sign of stress. This is a place not to be missed...and revisited. Great place, yummy food and the service was great! Russia House in Herndon is a gem. Food is always expertly prepared and served, ambiance is quiet and restrained, generally with recorded classical Russian-themed music at a reasonable level. Occasionally, there is an acoustic guitar. White table linens, candles, and never, ever rushed. Always a pleasure to dine here. Overall just average. Dinner rolls were the highlight which is never a good thing. Nothing bad either but expected more given the price point. Absolutely beautiful evening. Russia House is quietly elegant, with wonderful service and food. Appears to be family run and it shows. We went after a Saturday matinee and it was the perfect ending, well worth the 60 mile drive back home. We go because of the authentic Russian food with a French twist. Service is very personal and attentive. It is our special place for a quiet evening especially after a particularly busy and hectic time period. We had a wonderful Christmas Eve at the Russia House! Service was excellent and the appetizers, salad, soup, and entrees were amazing! Loved the ambiance and the attentiveness of the host and hostess! We found a new wine to share and within the quiet setting had the opportunity for a lovely conversation with the men in my life on a very special night! We would highly recommend this restaurant for any occasion! And a beautiful evening was had by all! Overall, it was a mediocre experience. The food, while well prepared, was overpriced and the service was sub-par. The wine list is out of date, as far as the vintage listings are concerned, and the wines are very overpriced. They sell wines by the glass, but don't bother to tell you which ones are by the glass or what the price is on the list. In summary, it was not very good, and not totally bad, but certainly not worth the effort of a repeat visit. It was totally "blah"! We had a Christmas Eve dinner that was excellent and festive. Flavored vodkas and mixed drinks are fun. Food was very good and service was attentive . . but not too attentive. It was quiet enough to easily carry on a conversation. The food and service at Russia House are AMAZING. I drove by Russia House for years and never stopped, but I finally ended up dining here on Christmas Eve with my family and have been many times since. 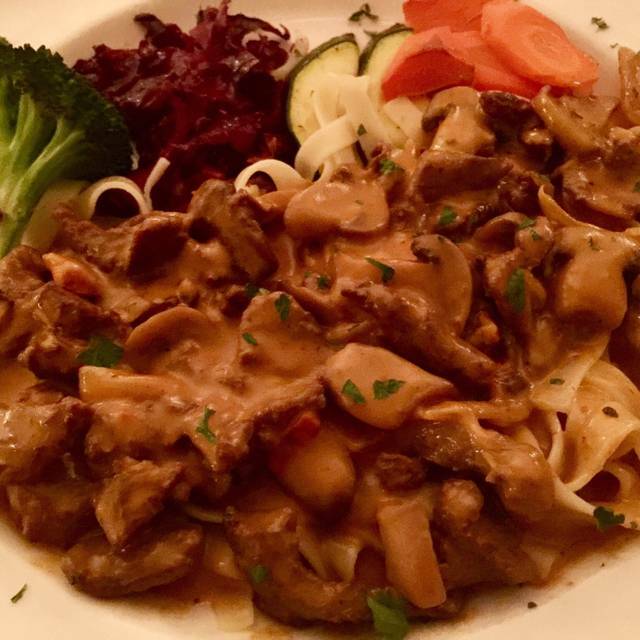 The Beef Stroganoff is perfect and the atmosphere reminds me of my travels around Eastern Europe. Great filet mignon! Russia House is a neighborhood treasure.